Next working day delivery when credit line is in place. Personal Contracts: please add the VAT at prevailing rate. and includes 1500 miles per month. If the vehicle is taken for less, the price will be calculated at £748.75 plus VAT per month. Need a short term fixed contract? 6 or 12 month Contract Hire? Please visit Volkswagen's website for a specification of the chosen model. The models do change on a monthly basis so please do confirm this with your sales person at the time of ordering. Short Term Car Leasing Ltd cannot be held responsible for any manufacturer changes. 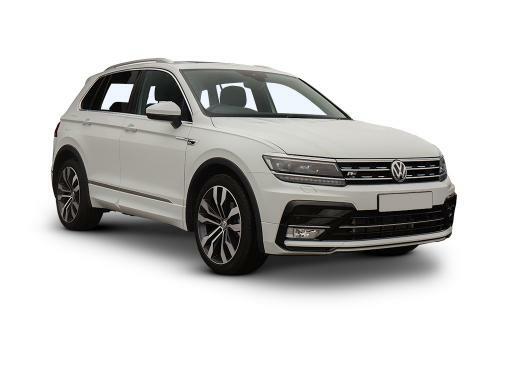 Volkswagen Tiguan Estate 2.0 Tdi 190 4Motion R Line DSG 5dr Automatic [GL] price is based on a monthly period and can be cancelled at any time by giving us a call or written notice. For our special offers, please see our homepage. Advertised rental is based on 1 x Rental taken upfront. This is down to passing a satisfactory credit assessment. Terms may differ if you do not meet the criteria of the credit assessment, please see the NON-STATUS section below for more information. All of the lower prices are based on 90 days, should the rental duration be less than 90 days we reserve the right to charge at least 1.5 times the payment as per our terms and conditions. Additional Details: Short Term Flexible Vehicles from this supplier are usually no older than 12 months. Full maintenance is included if specified, Tyre Provision is included if specified (except accidental damage, punctures, etc.) Manufacturer's Roadside Assistance is included with the vehicle (please refer to the manufacturers website for more information). The prices are based on monthly mileage allowances, but we can supply prices based on 1,000 miles per month up to 6,000 miles per month. Higher mileages can be quoted, for a definative price please call the team on [sc name="tel"]. Credit Issues / Non Status: If you are Non-Status, Expat, a new business startup or have difficulty in obtaining credit, CCJ's or historical financial difficulties, we need to know as soon as possible as this could delay your application, but we can still help. Terms may differ if you do have credit problems or you are a new business start up, but we can offer a solution! We look at every application on a case-by-case basis and like to see affordability and stability. Figures correct at time of publishing of 18th April 2019. + E&OE. Delivery: We offer free delivery on all our vehicles to mainland England and Wales. If you require a delivery to a location outside of England and Wales, please give the team a call on 0330 330 9425 We can offer an airport meet & greet service at any of the major airports in the UK, please ask for more details. Return Conditions on Short Term Flexilease’s differ from those vehicles on traditional contract hire. Therefore, we like to be transparent about how the car needs to be returned. Short Term Car Leasing Ltd have access to hundreds of short term flexible and fixed, cars and vans. Where possible we will provide competitive quotations should another short term vehicles supplier offer you a more competitive price, please send us the quotation and we will do our best to match it. When comparing quotations with other short term car providers, please ensure that you have looked at all of the hidden costs, inparticular the initial payments. Many companies offering short term leases especially 12 month contracts will take 3 payments upfront. We will only ever increase the upfront initial payment if the underwriters feel that you do not meet the correct credit checking criteria. Please ask for more details. We also offer conventional contract hire and leasing on 24/36/48 month contracts and have over 12 different funders to get quotations from, all of which have different levels of support, discount and calculation of residual value of the vehicle at the end of the term. We also have access to dealership and manufacturers systems which enable us to tap into some fantastic contract hire and leasing special offers. Non-Status, New Business start up's and Bad Credit applications are welcomed on this Volkswagen Tiguan Estate 2.0 Tdi 190 4Motion R Line DSG. However, please let us know at the point of application. Both businesses and private individuals have the option to accept or decline the terms offered. These Non-Status terms are not available on conventional contract hire and leasing options that we offer and is purely for our Short Term products available provided by Short Term Car Leasing and its connected businesses. 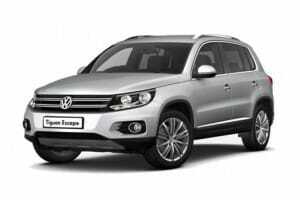 The Volkswagen Tiguan Estate 2.0 Tdi 190 4Motion R Line DSG will need to be insured by the Client. We do accept company fleet policies so long as the vehicle is noted on the policy in the correct form. You will need to have Fully Comprehensive Insurance and to be insured as a hire vehicle, not as a personal vehicle. You must let your Insurance Company know that the vehicle is hired, and you are not the legal owner of the vehicle. It is your responsibility to insure the vehicle through out the short term contract. Regular checks are carried out using the AskMid System. Those vehicles that are found to be uninsured, risk being repossessed or reported to the police. Corporate Accounts are welcome, giving you access to our full range of flexible lease vehicles with Next Day Delivery (Where Applicable). We also offer a range of Car Subscription schemes that offer true flexibility, low upfront payments and one all inclusive amount. We can deliver the vehicle to your workplace, employees houses or even provide an airport Meet & Greet service. Should you have employees coming over from overseas, we can arrange all of the vehicles to be ready on their first day of employment or day in the UK. All of our drivers are smartly dressed and carry full UK driving licences. We offer a range of short term flexi-rent, Car Subscription and short term leasing options for Expats and those visiting or working from overseas to the UK. Where possible, we will arrange for the vehicle to be ready on your arrival to the UK and we can even offer an airport meet and greet service at all of the aiports around the United Kingdom. Please let us know if you fall into this category as the process of application differs from ths usual. Our underwriters may require you to provide additional information such as income and/or employment. For more information about Expat / Overseas Car Hire and Short Term Leasing please call the team on 0330 330 9425. We offer a wide range of ex-fleet & ex-rental vehicles for sale on our Used Car website. Due to the amount of vehicles we have access to the website contains the makes and models with no specific details listed. We offer a Traffic Light Account Management system, this is to ensure that our customers accounts are maintained correctly. It is important to ensure that all payments and invoices are paid when required. Missed Payments, Late Payments and arrears can have a negative effect on your credit rating and may cause issues when applying for future credit.